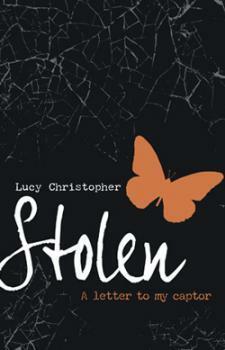 I read so many wonderful reviews of STOLEN that I knew I had to read it. However, I never got around to it. Until, it stared at me at Barnes & Nobles while vacationing in the US. Once I dove in the story, there was no turning back. Summary from Goodreads: It happened like this. I was stolen from an airport. Taken from everything I knew, everything I was used to. Taken to sand and heat, dirt and danger. And he expected me to love him. It´s a tough book to review because how does one explain developing so much empathy for a kidnapper, so much that he´s no longer one label but a person of his own, someone I wanted to save from himself? I´ll try my best to tell you why I think this book needs to be read by writers and readers alike, by anyone who likes to step back and think after closing a book, by anyone who loves being so immersed in the story that the smells of the settings become real. Every writer has heard this before. The voice in a book is what can make or break an entire novel. I believed Gemma. From the get-go,I was with her, despite the fact that some of the sentences were short and felt almost clipped, I felt with her. The way the sentences were formed was one more way for the reader to understand the way Gemma felt, how she was coping with her ordeal. As the story develops, as Gemma loses herself in the writing, the reader loses itself in the story. Completely. Lucy Christopher´s writing is gorgeous and becomes part of the story, making it even more alive. The writing mixed with the voice simply grabs your heart and doesn´t let go, even after you read the last word of the novel. and then there were the moments that relieved some of the tension without letting go of the tension. The Australian Outback isn´t just a setting, it´s alive. It brings fears and hurdles. It brings beauty and relief. It brings new beginnings and endings. Gemma hates it but loves it. It reminds me of the way she feels about Ty throughout the book, not sure which way to go, not sure to give in or to fight. Not sure what to believe anymore. We know what Ty did is wrong. Gemma knows it. But during the time they spent together, the frontiers got blurred and there were moments where Ty showed such a human side that I wanted him saved. Because he had a history too. Because he wasn´t just evil or bad or crazy. He had dreams, hopes and a past. I wanted him to have a future too. Sometimes I even wanted them to have a future together. Lucy Christopher manages to instill these moments and to show us how Gemma gets attached to Ty without wanting him, how conflicted she is, how unsure she is. She´s attracted to Ty. She feels for him. But then she also knows what he´s done to her by taking her away is wrong. Maybe it´s Stockholm syndrome. Maybe I have it too. And I had tears in my eyes reading this book, yearning for a resolution that simply couldn´t be and like Gemma, not sure why I would even want something different. Oh and right after I was done reading, I talked on Twitter how weird I felt about wanting a sequel but how I really would love to know the rest of the story for both of those characters.There are so many questions I still need answered. Lucy Christopher mentioned on her website about a sequel. I certainly would like to revisit Gemma and Ty’s world one day, and yes, I do have a plot for a book related to Stolen all worked out in my head, ready to go. However, at present I am working on another novel for young people that is not related to Stolen to Flyaway. My advice though….stay tuned. It won’t be today or tomorrow, but maybe soon, soon, soon….. I hadn’t heard anything about the possibility of a STOLEN sequel, but that news makes me so incredibly happy. Thanks for sharing! I really need to pick up a copy of this book. I keep hearing such good things! This was one of the most….heart wrenching books I’ve ever read. I cried so hard at the end. I cried doing the dishes, taking a shower, in my sleep, and over my bowl of oatmeal the next morning. I can’t explain it. I felt the same way Gemma did, I really hated to see all the stuff happen to Ty at the end, but he kidnapped her. It didn’t just affect her, it affected everyone around her. Never once did I think he didn’t need to be punished. He needs to be locked up…but…but…I don’t know. It hurts too much to think about. Every time I read the book I only go as far as the part were they’re talking about the stars that night. My favorite. The rest just hurts too much to read. Anyway! Sorry for my little feels rant (: I just really loved this book and I could talk about it all day. These characters are like family too me. I’m super protective of them in my on crazy, bibliophile way. I love them both.